Having failed to set out on my planned 8 cycle tour through the Victorian Alps last week I ispent three days over New Years in the Namadgi National Park, which is just south of Canberra. The three day ride presented some of the hardest riding I’ve ever done, so people out there, perhaps don’t follow my lead on this ride. 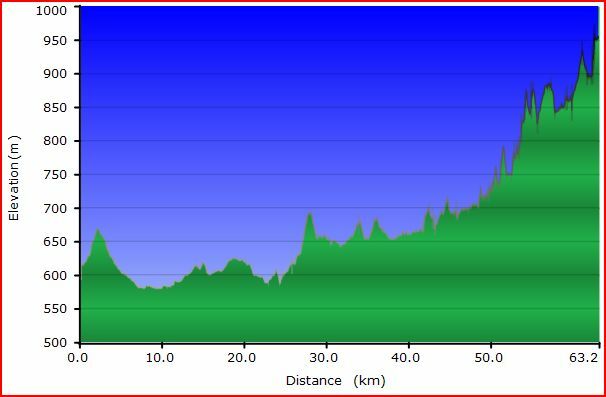 65km – 40km of dirt – so so much climbing! Day one started with a casual, easy ride out of Canberra along the cycle tracks south to Tharwa and the Namadji Visitors centre to check that tracks were open and whether there was likely to be water around. After a chat and brief lunch I continued south towards the start of my dirt riding and Caloola farm, a common stopping point for walkers on the Bicentennial National Trail. At the farm I checked in with the manager as per instructions and sought further information about the route I was to take that afternoon. In a truly understated way the manager foretold a day on the Naas Fire Trail that would be “a bit warm with a lot of up hill”. If I had of been wise I would have headed for home then and there. Within 10 minutes and 500m I was riding on a rocky fire trail that was at least recently graded and rode blissfully unaware of the fun to come. I road along this gentle trail for another kilometre before encountering my first creek crossing (there would be twelve in total) and despite being able to ride through it was only momentum that kept me vertical and the slope on the otherside was too much for a heavily loaded bike to handle so I pushed my bike for what would be the first of many many times. Anyway, the point I want to make is the track got steeper and steeper as the day went on. So much so that my arms were almost as tired from pushing 50kg of bike up hills as my legs were from the rare sections of riding. 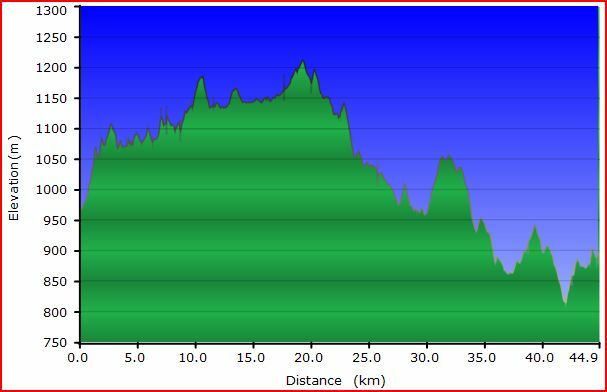 Vertical profile of the first day of riding along the Naas Fire Trail. 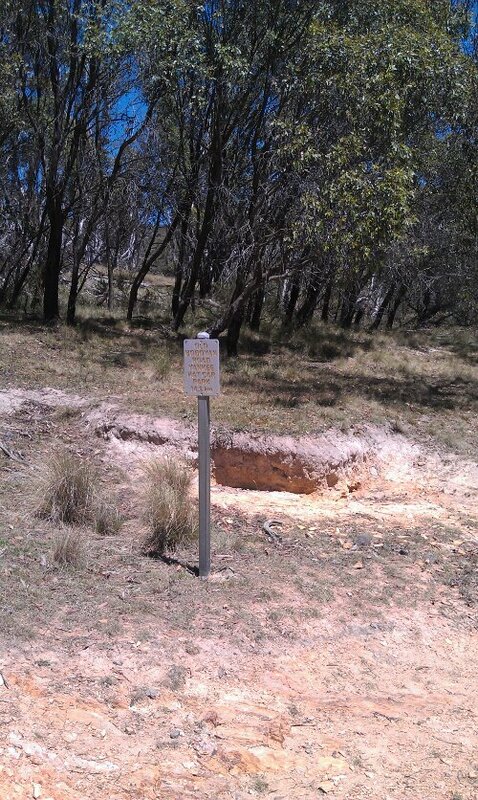 Needless to say once I reach Horse Gully Hut I was hot, sweaty and exhausted. Despite how painful the day was the sense of satisfaction of setting up the tent here, and having the place to myself well and truly made it worth while. 47km – 32km of dirt and sand – downhills so long I stopped to cool my wheel rims. Day two was looking better from the moment I woke up, there was light cloud, a breeze and I felt great. Then I sat up. Imagine my surprise to discover that my muscles were tired after the previous days ride, personally I couldn’t fathom it, but these things happen. As I gingerly ate breakfast and packed up the tent I decided that the days goal would be reduced to reaching Orroral campground rather than the form tracking station, but that I was going to make it no matter what my legs said. As I set of the clouds burnt off, my skin started burning in the sun and my muscles burned! Luckily the riding was easier that the prevois day and I was soon following smooth tyre tracks up the Naas Valley along the old Bobyan Rd. As I trudged through the day it grew warmer but more beautiful so the effort was worth it. 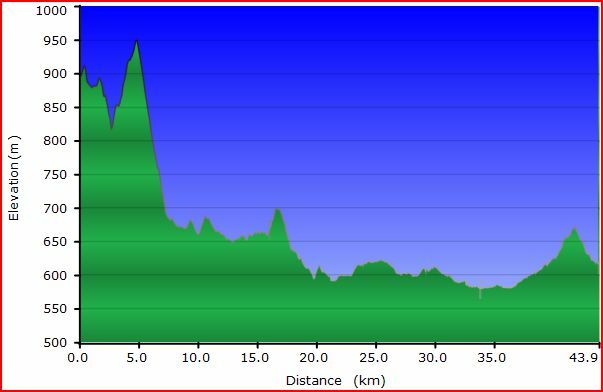 At the peak of the days climbing I was welcomed with a downhill to match the previous days horror climb. With will over 150m of descent over a short distance, on dirt with regular washouts the canti- brakes on the surly got a serious workout (just like my fingers). I took a break until my fingers had relaxed enough to check the temperature of my wheel rims and then continued down the hill. Vertical profile of my second day out. Including Naas Fire Trail, Old Boboyan Road and Boboyan. Not long after that, it was all down hill for a while, I reached the sealed road. 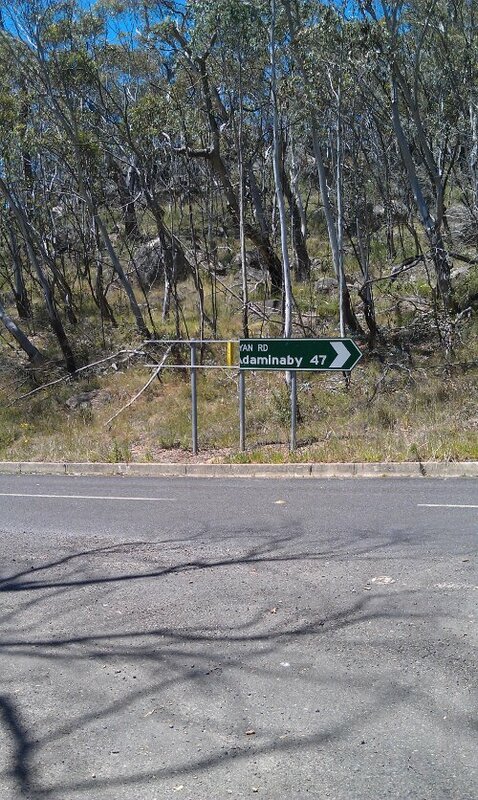 It appears someone else had been rather excited to reach sealed road after a similar ride because the sign to Canberra had been stolen. Can’t say I’d have put on my bike bit everyone is different. The rest of new years eve was an uneventful but incredibly tiring ride into camp, followed by a lovely evening of food and chatting around a fire with strangers until I politely fell asleep satisfied that I had achieved my goal for the day! 45km – no unsealed road! There really isn’t much to say about new years day. I got up, road on sealed road back into Canberra, immensely enjoy riding down Fitz’s Hill and was back into Tuggeranong then on to Canberra. 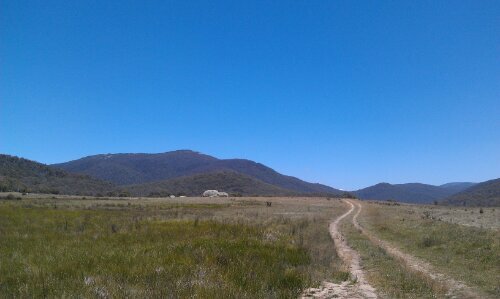 Final day of riding of my Namadgi National Park ride. The big down hill is Fitzy’s Hill. 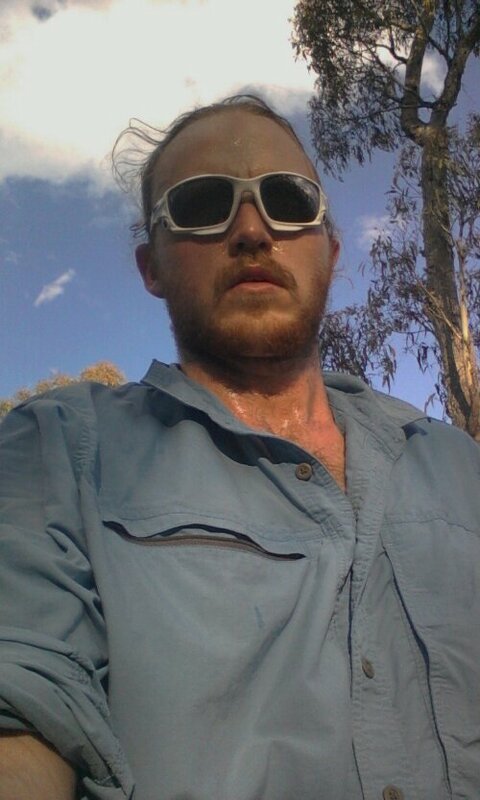 Just read your post after riding into Swan Hill before the real heat of the day begins. We were complaining a little about our tired legs and sore bums after a couple of days long and hot riding. We have nothing to complain about after reading your post! Hope things improve! I have nothing to complain about really. It is still cooler than home so all is good. 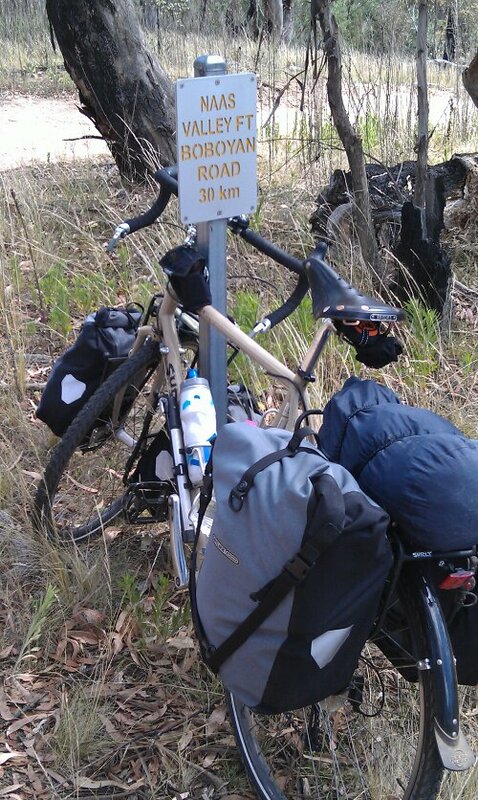 It will much harder when I hopefully ride the Mawson Trail in March. Oh and your travels look awesome. I’m quite tempted to go riding around all these lakes you talk about and check out the bakeries. This ride lacked daily Devonshire Teas. Thanks for the report, and glad you are Ok and really relieved you did pull out of the victorian ride – especially considering the deterioration in conditions! Just watching the Jayco – Herald Victorian bike ride – lots of very reddened skin. At last they are not near the fires which include one just north of Lakes Entrance. Good luck with the return to Alice – the only state without weather warnings – must be normal out there. 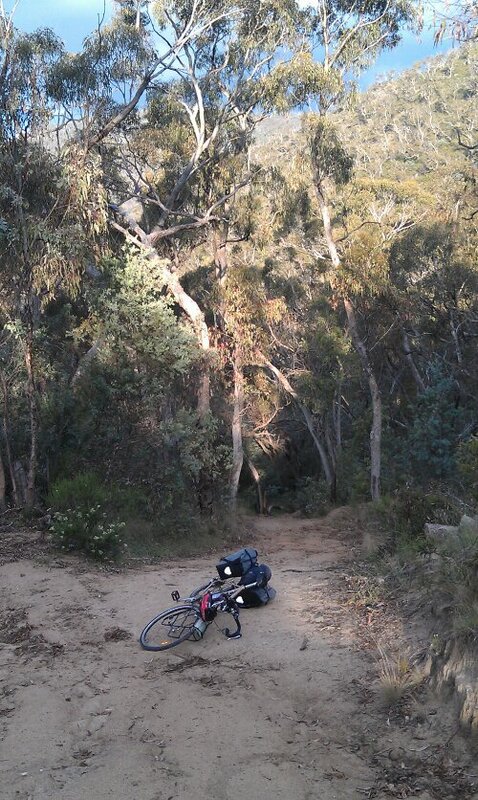 Reblogged this on Bikepacking Australia – The Collective Blog. Actually sounds like a nice ride away from the crowds and traffic. 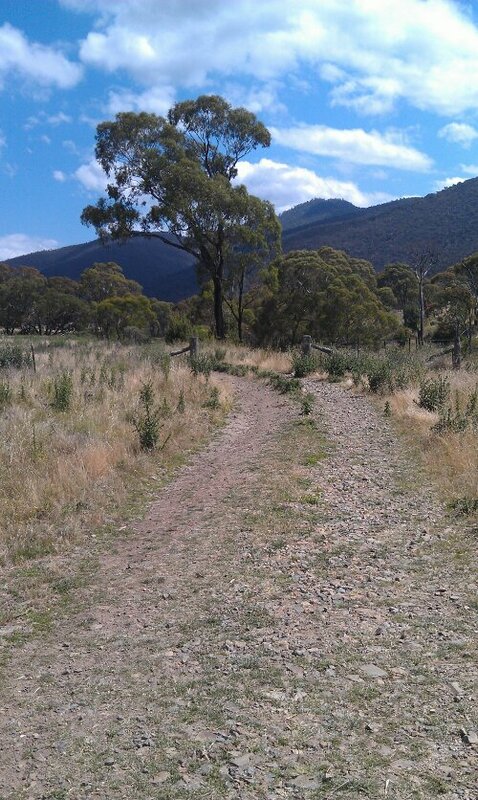 Why God created hills is beyond me – such a pain on a hot day. 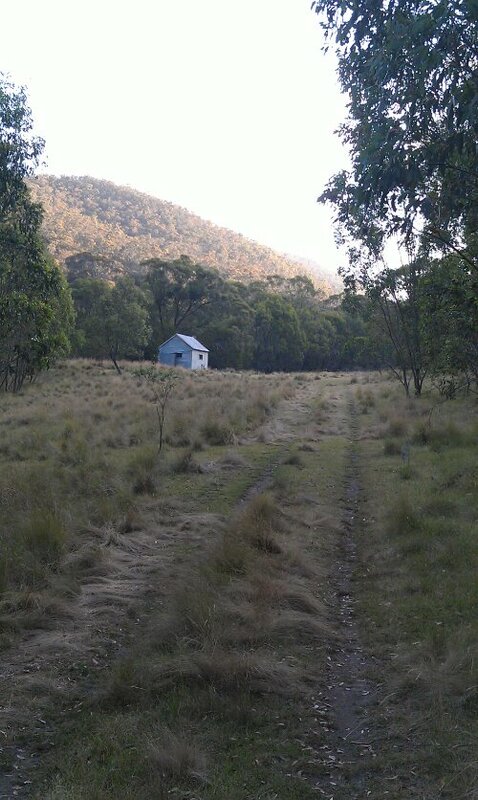 The hut looked amazing – would love to see this sort of country. On the bucket list!